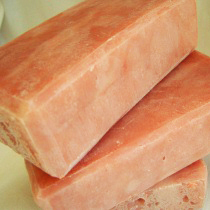 "…Body Bars are made from scratch in small batches, with special attention given to detail. These soaps contain luxury ingredients like shea butter, cocoa butter, aloe juice, natural clays and botanicals." Write your choices in special instructions box when checking out! 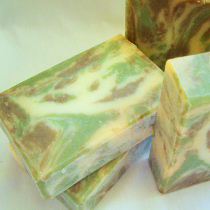 A great blend of amber, cedarwood, & oakmoss, complete with a camouflage swirl. 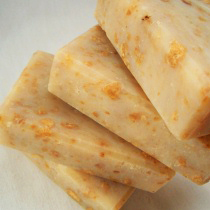 A delightful scent blend including rose, amber, violet, and a hint of lemongrass. The calming scent of lavender....always a favorite. 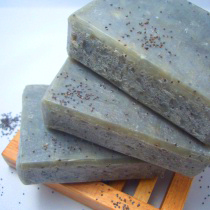 A deep musk scent w/poppy seeds that add a bit of texture and interest to the soap. 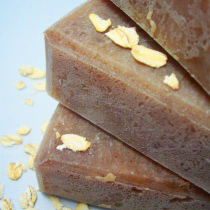 A favorite mix of honey, milk and oats, which have been known to help soothe tired and irritated skin. 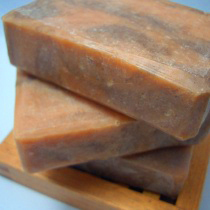 Scented with a sandalwood/patchouli blend, this soap has a distinctive masculine scent. 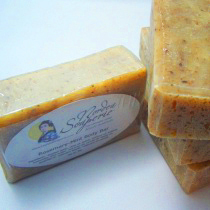 Amber-scented soap made w/lots of shea butter, organic aloe vera juice, and chunks of African Black Soap. 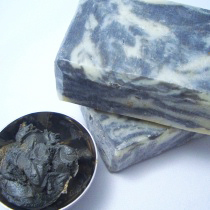 Made with Dead Sea mud and scented with spearmint and lemon eucalyptus essential oils. 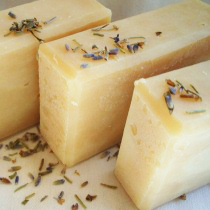 This fresh combination of rosemary and peppermint essential oil makes the perfect soap to kick start your day! 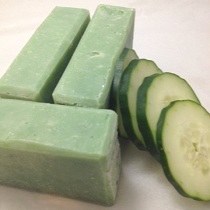 Made w/real cucumber and organic aloe vera juice, for a cool and refreshing soap.